A veritable showcase of Australia's finest vintage, classic, sports, modified and luxury cars. With classic, luxury and performance car reviews (new and used), specialist car and club events as well as over 1000 cars for sale in gloss colour, Unique Cars is both a window shopper and buyer's dream. Sit back, read and enjoy. 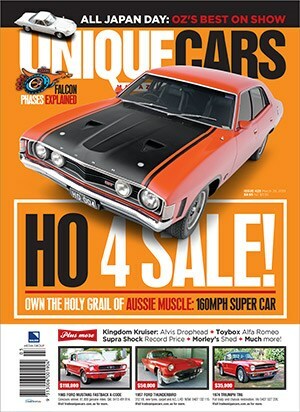 Unique Cars is published every 4 weeks (13 issues per year) and is available by subscription (digital and print) or from your local newsagents.